No matter how cautious homeowners are, gasoline leaks and spills do occur. From spare cans tipping over in the garage, leaking lawnmowers, chainsaws, and even vehicles, there are instances where gas odors are simply out of your control. Not only is gasoline odor a nuisance, but it also poses serious health risks if left untreated. Understanding how to remove gasoline odors can not only keep your assets intact, but it can also prepare you for those untimely occasions when gasoline makes it way onto your clothes or belongings. 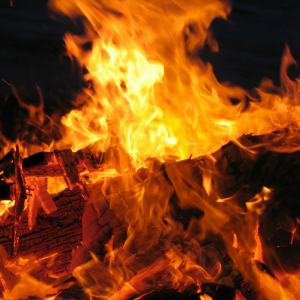 What Makes Gasoline So Odorous? It’s hard to mistake the smell of gasoline. Gasoline has a unique and pungent scent, one which can linger for days or week on in. We have heard of stories of hormones being at wit’s end with lingering gasoline smells, resulting in them throwing away or replacing items, due to the offensive, pungent odor. The strong scent of gasoline comes from hydrocarbons, these organic compounds are also found in common household items such as glue, paint, and cleaning solutions. While hydrocarbons do quite a bit of good, they also have the potential to be detrimental to you health and belonging if not properly taken care of. One of the more common and offensive hydrocarbons is called benzene, a colorless and very flammable liquid. Even in its smallest concentration, benzene can easily be identified by the slightly sweet scent. Benzene and methane are what makes gasoline fumes so potent and dangerous, as prolonged exposure to hydrocarbons can create severe health risks. As a toxic substance, there are numerous health risks stemming from inhalation or physical contact with gas fumes. Gas poisoning can affect nearly every major organ in the body, making the elimination of gasoline odors crucial for your health. Aside from these health issues, there are a few more serious, long-term health risks that involve inhalation of gasoline fumes. Lung damage and cancer are common concerns associated with prolonged inhalation of gasoline.Small, gas-powered engines have also been found to increase the risk of carbon monoxide poisoning, which can cause permanent brain damage and even fatalities. 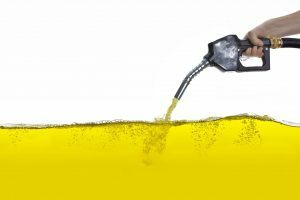 Do Home Remedies Work on Gasoline Smell? 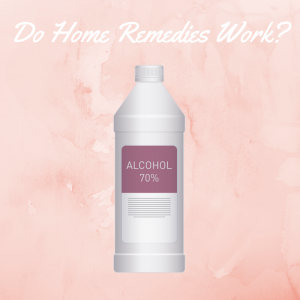 While they may work for short-term relief, the reality is that while odors may be reduced or temporarily masked, these home remedies cannot permanently get rid of gasoline odors. To completely neutralize and eliminate gasoline odors, a more thorough approach is necessary. Removing gasoline odors from your hands can be quite a tricky process. Gasoline can cause irritation and rashes, and the process of removing the smell may exacerbate these issues. 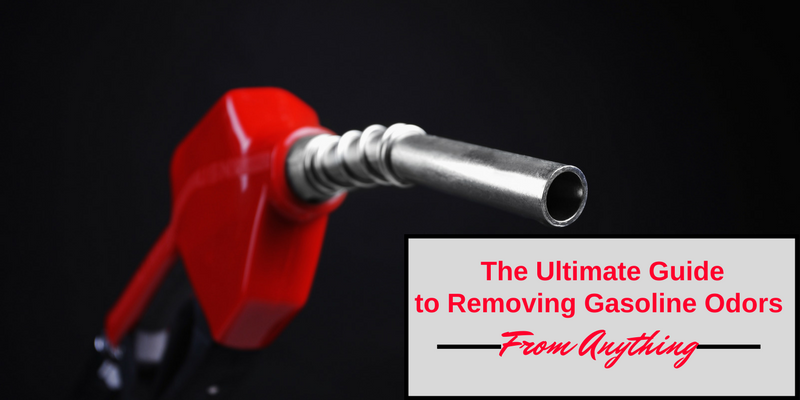 Allergies and skin sensitivities not only make gasoline odors more troublesome and painful, but they can also make removal much more complicated. Because hands touch multiple surfaces throughout the day, including food and water, lingering gasoline fumes on hands can be particularly dangerous. The hazardous chemicals inside gasoline odors can easily transfer to surfaces throughout the home, spreading the scent and making removal even more challenging. As a health risk, gasoline smell on hands can be a serious issue. Transferring gasoline fumes to kitchen utensils, linens, food, or drinking water increases the likelihood that the harmful hydrocarbons in gasoline will be inhaled or even ingested. Rather than just masking gasoline odors through home remedies, elimination of toxic fumes can be done through using a safe, neutralizing deodorizer, like the OdorKlenz Hand Soap & Deodorizer. The OdorKlenz Hand Soap & Deodorizer contain safe natural earth minerals which work to attack the chemistry of gasoline odors neutralizing them at the source without the use of masking agents or toxic chemicals. The metal oxides inside the OdorKlenz Hand Soap & Deodorizer work at attack the odors at the source without the use of harmful chemicals that can dry you skin or cause allergy reaction and best of all no masking agents or fragrances are used in the process so there is no chance of the odors returning once contact is made.This is the fundamental difference between home remedies and the OdorKlenz Hand & Soap Deodorizer: rather than use scent to mask odors temporarily, this cleanser breaks them down entirely, eliminating the possibility of lingering odors. When combined, the washing process breaks down and eliminates odors at their core through a process called absorption neutralization, making it an excellent option to remove gasoline smell from hands. 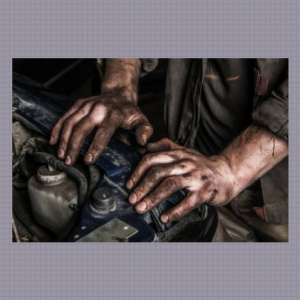 Blue collar workers and mechanics who are constantly working on machinery, cars, are at high risk or exposure for getting gasoline smells on their clothes.In fact, for some, contact with gasoline simply comes as part of the job. Whether it happens every day or once a year, getting gasoline smell out of clothes can be challenging, because clothing absorbs and soaks up liquids, gasoline can be retained for longer periods of time in clothing fibers. While household detergents are commonly used to eliminate gasoline smells, these detergents will only provide a temporary solution to a lingering issue. Detergents are well-equipped to clean dirt and grime from clothing, but when it comes to chemical smells such as gasoline odors, traditional detergents will just mask the odors and not be a good fit for gasoline odor removal. To remove gasoline odors from clothing and linens, the best detergent is the OdorKlenz Laundry Additive, which works by breaking down the compound structure of the gasoline odors and neutralizing them at the source without the use of masking agents or toxic chemicals. 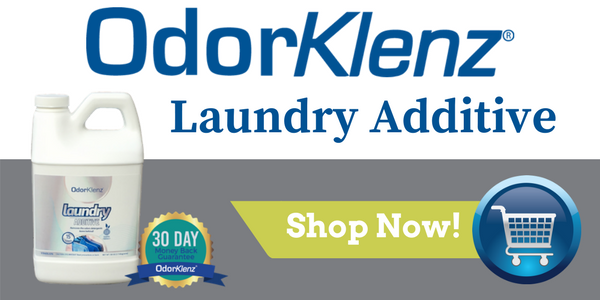 For those who have chemical or fragrance sensitivities, using the OdorKlenz Additive offers a safe and effective solution to permanently removing gasoline smells from clothing and belongings. The smell of gasoline inside your car can be a potentially dangerous situation, both for the car itself and for your health. The causes of gasoline odors in your car can range anywhere from an overfilled gas cap, a leaky canister, or even an injector or fuel tank leak. As a driver, these health risks can create serious problems on the road, resulting in accidents or even fatalities. If there are gasoline odors inside the car, they need to be removed as quickly and efficiently as possible, both for personal and public safety. Removing odors can be challenging, especially if gasoline has seeped into the carpet or upholstery. There are plenty of industrial cleaners and home remedies that claim to remove gasoline odors from the car, though these are largely ineffective. Cleaners and home remedies use fragrances and perfumes to mask odors, not remove them. Without fully removing gasoline smells, the fumes will reappear and continue to release harmful chemicals into the air, posing significant health risks to both drivers and passengers. For eliminating gasoline smells from the car, the OdorKlenz Source Odor Treatment is one of the best available deodorizers on the market. It can be used on carpets, fabrics, upholstery, and other surfaces that are water safe and extractable. Because it does not use masking agents, fragrances, or harsh chemicals, the OdorKlenz Source Odor Treatment is a safe, effective, and environmentally-friendly solution for stubborn gasoline odors. Rather than relying on fragrances or masking agents to temporarily cover offensive odors, it offers a permanent and thorough solution through patented odor-neutralizing technology. This means that the OdorKlenz Source Odor Treatment breaks down the core chemical structure of the gasoline odors, ensuring that smells are eliminated for good. For a comprehensive, safe, and effective treatment of gasoline odors inside the car, the OdorKlenz Source Odor Treatment is a perfect solution. Having gasoline odors inside the home is a particularly challenging problem. We spend close to 90% of our time indoors, which means that indoor air quality has a huge effect on day-to-day health. Gasoline odors can not only rapidly decrease your indoor air quality, but can also pose serious health risks for adults, children, and pets in the process. In severe cases, the central nervous system may be severely affected enough to cause respiratory failure, resulting in death. Children and pets are especially susceptible to the negative health effects of benzene, creating an urgent need to remove gasoline odor from the home as quickly and as efficiently as possible. Because gasoline odors come from chemical sources, lingering gasoline odors inside the home can also become corrosive over time. Linens and upholstery are particularly susceptible to corrosion through gasoline odor, as they can easily absorb the chemical compounds. Aside from chemical corrosion, the presence of gasoline odors can often leave homeowners with no choice but to throw away and replace household items that retain the pungent smell of gasoline. Thus, removing gasoline odor from the home is not just about protecting indoor air quality and health, but also about ensuring that household items are preserved. Removing gasoline odor from the home is a challenging task. Sprays and cleaners simply mask odors rather than eliminate them entirely, leaving harmful hydrocarbons to linger in the air and settle on upholstery, furniture, carpets, and more. To thoroughly clean air and remove airborne contaminants, OdorKlenz offers two solutions: the OdorKlenz Mobile Air System and the OdorKlenz-Air for HVAC Filter which can be used simultaneously or separately depending on the severity of the situation to restore the indoor air quality. As a portable air purification unit, the OdorKlenz Mobile Air System is a great option for those who want to restore or improve their indoor air quality, while removing noxious or potentially damaging chemical odors and malodors. The air purification unit comes with a patented air cartridge, which contains a proprietary blend of materials that work to take in offensive odors such as gasoline vapors and put them through a patented destructive adsorption process, which breaks down the chemistry at the source, rather than mask them through perfumes or scents. The OdorKlenz Mobile Air System is versatile enough to remove gasoline odors but is not limited to just gasoline odors and smells but rather focus on removing a broad array of odors which include cooking odors, perfumes, paint, VOCs, new carpet odors, pets, mold odors and mildew smells, and household chemicals. For homeowners who prefer to use their existing HVAC system to improve indoor air quality, the OdorKlenz-Air Cartridge is a great addition to any air conditioning or heating system. Once installed, the air cartridge works alongside your HVAC system to filter out any contaminants before heated or cooled air is distributed throughout the home. Odors have an adverse effect on indoor air quality, decreasing health and overall quality of life while in the home. To combat noxious odors, the OdorKlenz-Air Cartridge removes pollutants from the air without using harmful chemicals, fragrances, or masking agents. For whole-home health through improved indoor air quality, the OdorKlenz-Air Cartridge is a valuable addition to any existing HVAC system. Tackling the challenge of gasoline odors takes an in-depth approach, one which cannot be accomplished through using household cleaners or homemade remedies. Whether removing gasoline odors from hands, clothes, cars, or inside the home, effective removal requires breaking down the chemical compounds found in odors. Luckily, with OdorKlenz products, noxious odors can be thoroughly and permanently eliminated, improving health and overall wellbeing for any homeowner and their family. 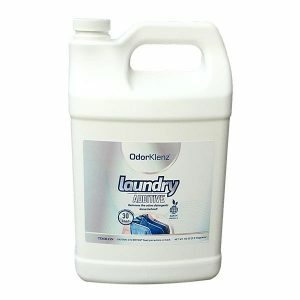 The OdorKenz Laundry Additive offers the important step in eradicating odors out of your fabrics. Have confidence in an odorless wardrobe and trust that your linens will be free of any funky smells. Ideal for any fabric odors including smoke, grease, body odor, mildew, fragrances, chemicals, urine, or musty smells. Just use 1/4 to 1/2 cup a cup in your laundry load, mixed with your regular, unscented laundry detergent. Provides Complete Odor Elimination. Say Goodbye to Foul Odors in Your Clothes for Good!